Joseph Bathanti, 2013-2014 North Carolina Poet Laureate, Carl Galie, nature photographer, and Scott Temple, writer and videographer, propose to present a panel discussion through the use of poetry, photography and video on the topic of mountaintop removal. 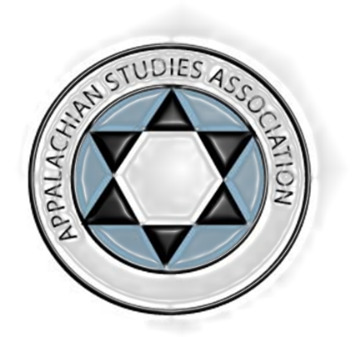 Our proposal works well with this years theme for the conference: “Many Mountains, Many Musics.” Our collaborative voice provides the imagery through photography, the metaphoric songs through the “sounds of poetry,” and the life of the Appalachian mountains through video. Galie will talk about his research and photography project on mountaintop removal. Bathanti will will read his original poems inspired by Galie’s photographs and talk about his process. Temple will show a video on mountaintop removal and be the moderator. Our collaborative project attempts to capture the destruction and remaining beauty of coal country. We explore the complexity of living and working in this region where “coal is king.” Our project hopes to bring awareness and discussion on the practice of mountaintop removal and those living and working in the region. Scott Temple will show a video in order to creatively interpret the collaborative project and the issue of mountaintop removal. The video will help provide continued discussion to the project's story through the use of original video, audio recordings of Bathanti reading poetry, and Galie's photographs. Scott Temple is a writer and videographer. He received numerous Regional and Emerging Artist Project Grants and Community Grants for writing and video documentaries. His video series called Wyld-er-ness explores how the wilderness inspires writers, artists and activists in their fields. His videos and writings have appeared in numerous publications such as orion.com. He is an instructor at Cleveland Community College, Shelby, NC where he teaches English, Creative Writing, and Humanities. Joseph Bathanti will read from his collection of original poetry, which was inspired by Carl Galie’s photographs in his series Lost on the Road to Oblivion. Bathanti will also discuss the inspiration behind the written word and will speak about the process of collaborating with a visual artist to bring about social awareness. Joseph Bathanti is former Poet Laureate of North Carolina (2012-14). He is the author of thirteen books, including Concertina, winner of the 2014 Roanoke Chowan Prize; and recently released Half of What I Say Is Meaningless, winner of the Will D. Campbell Award for Creative Nonfiction. A new novel, The Life of the World to Come, is forthcoming in 2014 from University of South Carolina Press. Bathanti is Professor of Creative Writing at Appalachian State University. Carl Galie's photographs will take the viewer on a journey through the southern Appalachians and document the controversial practice of mountaintop removal. The photographs raise the question of whether years of environmental regulation should be overruled in an attempt to stimulate the economy by allowing this industrial coal mining practice to continue. Carl Galie’s is a photographer. He received an Emerging Artist Grant (1995) for the purpose of publishing the book Vision Quest, A Visual Journey Through North Carolina's Lower Roanoke River Basin, published by Red Maple Press. He received a Regional Artist Grant (2007) for his second book project 175 Paces. He received Art For Conservation Grant (2010) for his photography series Lost on the Road to Oblivion, The Vanishing Beauty of Coal Country. His photography appears in numerous publications.